Start-Rite Day Secondary School played host to Olive Brooks Juniors International Schools and Benford International School on Thursday, 10th January 2019 for their first edition of Science Appreciation Day. 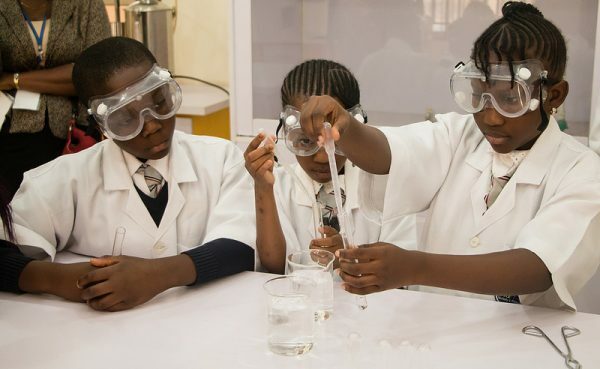 Science has played a role in global development, therefore, Start-Rite Day Secondary School chose to celebrate science and scientists. Our aim was to evoke a sense of wonder, building knowledge, passion, and enthusiasm for science and technology. By exposing Young People to the wonders of science and participating in mind-blowing science experiments in Biology, Chemistry, Physics, and Robotics they were able to demonstrate that the impossible is not only possible – but Scientists have done it. The pupils also had the opportunity to enjoy a session with the Schools Leadership and Life-skills coach. Curiosity is a life skill that may lead to new discoveries or opportunities. Start-Rite Day Secondary School believes that students thrive and develop positive life skills when they have an understanding of how best to learn at school, be proactive, and exercise personal leadership. The skills that Young People learn in the present have a growing impact on their future. When Young People master science concepts or figure out a problem, it gives them a feeling of accomplishment. Learning these skills helps Young People avoid common pitfalls and can drastically influence their personal fulfillment and success.